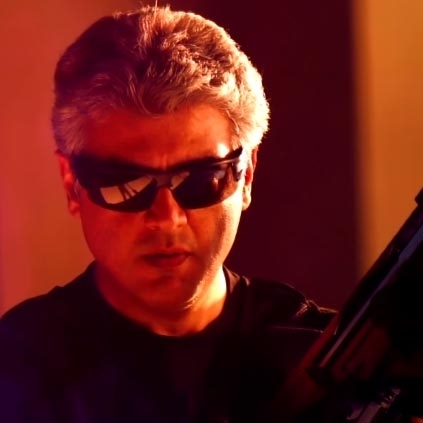 As reported by us, the 2nd single from Vivegam titled 'Thalai Viduthalai' will be releasing on the 10th of July which is just a few days away. The title by itself is powerful and from the outset, one could guess it would be another song in the lines of 'Surviva' that talks about how Ajith escapes from his worries or something like that. The most interesting fact about this song is director Siva becomes a full-fledged lyricist through 'Thalai Viduthalai'. Like his screenplay, we hope his lyrics are powerful too. Anirudh welcomed Siva as lyricist via Twitter, "'Thalai Viduthalai' - The next single from #Vivegam releases on Monday 10th July at 6pm. Our @directorsiva turns full-fledged lyricist 🔥💥"
Siva replied back, "Sai sai 🙏🙏🙏🙏🙏with love of thala ajith sir and thala fans media friends and cinema lovers🙏🙏🙏🙏🙏sai sai"